These states will join the collection on Ancestry.com with four other searchable states and Washington D.C. (ME, NV, DE, NY). Join the National Genealogical Society for a weeklong guided research trip to the world renowned Family History Library in Salt Lake City, Utah. Researchers can choose to attend 21–28 October 2012 or 6–13 January 2013. NGS offers a substantial discount with early bird pricing if you register for the 21–28 October trip by 15 July and register for the 6–13 January trip by 15 October. The hosts for the October 2012 trip are Sandra MacLean Clunies, cgsm, and Shirley Wilcox, cgsm, and the January 2013 hosts are Marie Varrelman Melchiori, cgsm, cgLsm, and Shirley Wilcox, cgsm. These experts, all certified genealogists, are available to the attendees all week long to help them focus their research work and to take the utmost advantage of the Family History Library resources. The library’s noteworthy records include deeds, wills, military, tax, and vital records from the United States, Canada, and around the world. Researchers will have access to numerous commercial computer databases, more than two million rolls of microfilm located on five floors, hundreds of thousands of microfiche, an immense collection of genealogical books, and outstanding area maps. Airfare, meals (other than those shown above), and all personal expenses are not included in the package price. Each trip is limited to 30 attendees. June 27, 2012 (TORONTO) – In honour of Canada Day, Ancestry.ca , Canada’s favourite family history website, is offering free access to 40 million historical records that outline just how far the country has come as a nation in the past 145 years. Available free from June 27 through July 2, the records cover the years leading up to and following Confederation and include censuses, birth, marriage and death records, passenger lists, military records and many more. In 1871, just four short years after Confederation, Canada conducted its first Census as a nation and the results showed it was a country made up of British and French immigrants and a stark lack of diversity. · Vital records (i.e. birth, marriage and death records) from British Columbia, Ontario, Quebec and Nova Scotia - outlining the significant moments in the people’s lives like children born, marriages and deaths. 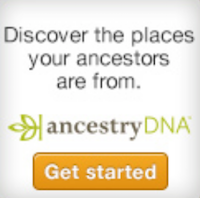 Search Ancestry.ca for your family. Flip-Pal Mobile Scanner 2012 Independence Day and Canada Day Sale! The folks at Flip-Pal Mobile Scanner sent Olive Tree Genealogy the news that they have two promotions for the upcoming American Independence Day and Canada Day celebrations. Readers know how much I love my Flip-Pal and I'm always happy to share the news of any sales or coupons to help you purchase your own. Now maybe you don't care. But if you want others to contact you at your personal email you will need to switch back to what you had. Also some tests done this morning and last night by concerned inviduals are indicating that Facebook's email system is flawed. Some messages are getting in and some are getting out but it's flaky. My own tests this morning showed two messages I sent from two different gmail accounts did end up in my Facebook messages area and one I sent out to a gmail account arrived. That's not a very good test but I was only mildly curious as I have no intention of using Facebook's email system! To change your contact email back, go to your Profile page, click ABOUT and scroll down to where you'll see your new facebook.com addy. Click EDIT then HIDE the facebook addy from Timeline, and make your old one VISIBLE on Timeline. Then SAVE your changes. A friend asked an interesting question yesterday. "Why do you do genealogy?" she said. Sounds like a simple question doesn't it. And the answer should be simple - "I do genealogy because...."
But guess what? It's not simple. The reasons I currently "do genealogy" are not the same reasons I would have given 20 or 30 years ago. When I began my genealogy quest at a very young age, it was because my father had expressed such curiousity about our Irish McGinnis origins. He died when I was 14 and I made a vow after his death to find out about our McGinnis ancestors for him. In his memory. So my answer to that question, had it been asked, those many years ago, would have been simple. "I do genealogy because I want to find my McGinnis ancestors for my father." "I do genealogy for many reasons. One is my curiousity about my ancestors - who were they, what were they like, what experiences did they live through. My love of history is part of the reason I do genealogy. My desire to solve mysteries is a huge part of my passion for genealogy. And I do genealogy because I want my children and grandchildren to know and recognize the individuals over the centuries whose lives helped make us who we are today." Genealogy isn't a pursuit well suited for those who require instant gratification. It's a long-term process and seems incredibly boring and tedious to those who are not like-minded. I've spent more hours scrolling through microfilm searching for that one entry with an ancestor's name, then I care to remember. Many people would consider those wasted hours. I don't. Some of my family are not the least bit interested in our ancestors. Some are interested to a degree. Tell them stories of the more interesting or outrageous ancestors such as our daredevil Peer ancestor who walked Niagara Falls on a tightrope and they listen. Tell them about great great grandpa, the farmer in England, and their eyes glaze over. I once had a friend say to me "But why do you care? They're all dead!" and yet another said "They're not really your ancestors if they're dead." Hmmm... I can't quite get my head around that mindset! Some are not interested in the treasured photos of ancestors. To me those are the icing on the cake! They make my ancestor "real" for me. One of my relatives told me she wasn't interested in seeing a photo of our 2nd great-grandfather. Why wasn't she interested? Because, she said "Why do I care what he looked like? I never knew him." To me that's kind of the point. A photo allows us to "know" our ancestors. With a photo I can study faces and ponder over whether or not great-grandma's nose isn't just like one of my granddaughters. I can imagine the ancestors in those photos living their daily lives, just as we do today. And I feel a connection to those people. How about you? How would you answer my friend's question, "Why do you do genealogy?" 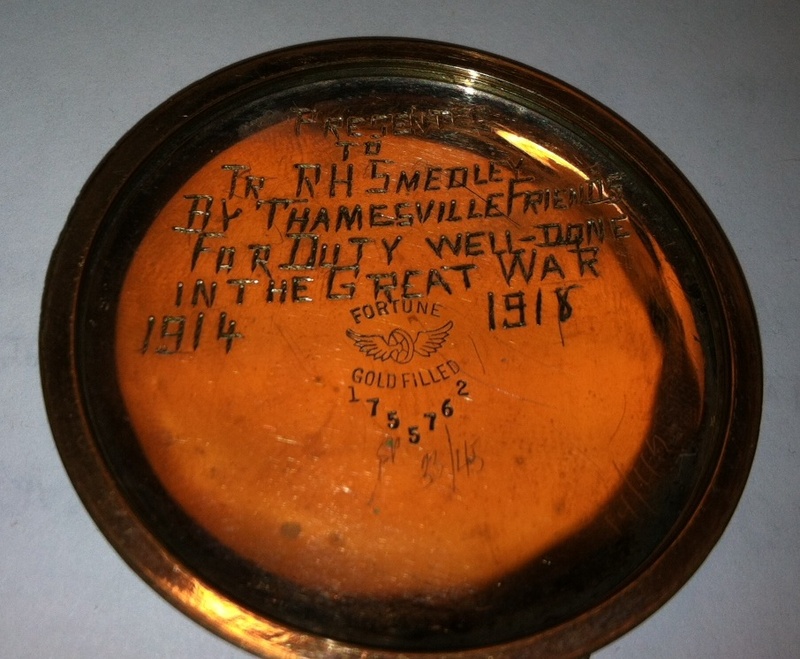 This WW1 Medal is stamped with the name of the soldier on the side. It reads 3056604 (Regimental Number) and GNR (Gunner) R. Culbertson C.F.A. We believe that CFA stands for Canadian Forces Artillery. His Attestation Papers indexed provide more detail. Full name Walter Roy Culbertson, born November 26, 1888. The front of his form has been scanned and it shows that he was born in Cornwall Ontario and is single. He's a salesman and gives his father's name as James J. Culbertson, also residing in Cornwall. Walter enlisted on 8 October 1917 in Kingston Ontario. See http://www.smeaton.org/Eamer_Detailed_Genealogy.pdf p. 113 for more details on the Culbertson family. 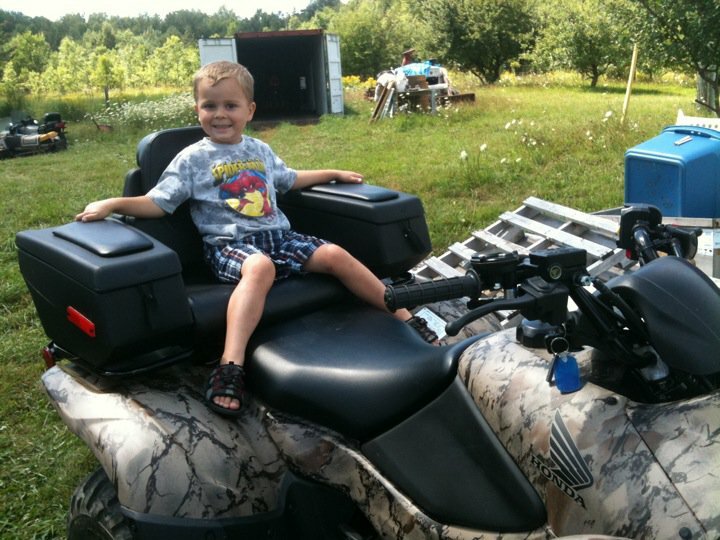 Walter Roy's parents were James Culbertson and Laura Gallinger. The National Archives U.K. sent Olive Tree Genealogy the following announcement. We're excited to announce that the fifth edition of The Genealogist's Internet is out now! This new edition brings the popular title up-to-date, and is the comprehensive guide for anyone researching their family history online. It not only covers all online resources now available, but also includes the impact of blogging, podcasting and social networking on family history research, allowing family historians to find others with similar research interests and to share their results. This book is a must-have for any family historian - order your copy today. The Flip-Pal Mobile Scanner mobile scanner Summer Solstice Coupons (two promotional offers)! I've scanned family photos and memoirs with my 87 year old auntie. I've taken it to archives, museums and libraries to scan documents, I've created pretty borders for treasured family photos - the list of what you can do with Flip-Pal Mobile Scanner is endless. So if you don't have one, you might want to take advantage of these summer solstice coupons. All promotion codes are active 12:00 a.m.–11:59 p.m. MDT (-6 GMT) on the dates listed. I am trying to find someone that once lived in or around Thamesville. Here is the story, years ago when i was a kid i found a nice watch laying in a yard in Michigan. Inside there is some engraving indicating that this watch was given to RH Smedley by the friends of thamesville for his service in world war 1. I forgot about this watch but found it yesterday in a box. 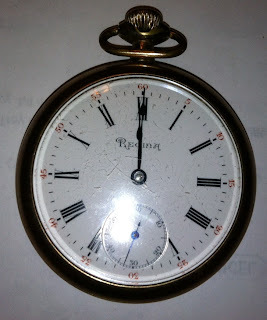 I would just like to find a relative of RH that I can return this watch to. Any assistance you can provide would be much appreciated. Lorine's Research: Thamesville is in Kent County so I had a quick look in the online CEF (Canadian Expeditionary Force) records for that area. There were 20 hits for the search term SMEDL*Y but only one with the initials R.H. - Ronald Herbert Smedley born Oct. 26, 1898. Ronald's Attestation Paper (front) shows he was living in Thamesville when he enlisted November 1, 1916. He was born in Blackpool, Lancashire England and his parents were Herbert and Maggie Smedley. Starting with that information it should be possible to find out if he survived the war, had any siblings, or a wife and family who might like to have the watch. I hope my readers will jump in to help find Ronald's family. Let's help Chad send this watch home! Update: It only took a few hours and we have the names of 3 children for Ronald, who moved to Detroit Michigan from Thamesville Ontario, in 1920. See comments for more updates! Thanks everyone! Let's keep going and find Ronald's sons and grandchildren to let them know about this watch. The War of 1812. This is the War that both sides (Canada and America) claim they won [FN] . It started on June 18, 1812 when America declared war on Great Britain. Fold3 observes the War of 1812 bicentennial with rich and revealing historical documents within the War of 1812 Collection. They include the War of 1812 Prize Cases from New York's Southern District Court, Letters Received by the Adjutant General, and War of 1812 Service Records for Lake Erie and Mississippi, and the War of 1812 Pension Files. These records are not indexed. The best method for finding an ancestor is to consult the HELP file for each set of records. There you will find an itemized list of what is on each microfilm reel. This will help you narrow your search but be prepared to spend some time scrolling through the pages. I spent some time on the Claims for Losses microfilm on Sunday and can tell you that there are some names indexed starting at image 272 on microfilm t-1123. You can also consult Olive Tree Genealogy War of 1812 section as there are some smaller databases online. These include several Canadian Muster Rolls, Lists of widow's receiving Canadian pensions, property losses, prisoners of war and more. [FN] How can both sides claim they won the War of 1812? Easy. In a nutshell: USA won the Battle of New Orleans, the last battle of the war. America claims a win based on this battle. But it was fought after peace was declared. Thus Britain (and Canada) claim the win overall. As well, America never realized its objective to "annex" Canada, therefore that would in military and political circles be considered a loss. Spoiler alert: The article begins with "In a relatively rare admission for an American scholar, a leading U.S. historian who authored a provocative new tome about North American military conflicts states bluntly that Canada won the War of 1812." Of course I'm not objective. Being a Canadian I believe that we won the war. But whoever won, we all lost many soldiers and civilians in some horrific battles. It is easy to perceive a War as "romantic" when in reality war is a horrible event. But nonetheless it happened and as genealogists we are naturally curious to know if one of our ancestors was involved and to what extent. Hopefully some of the databases that are being offered online will assist us in that quest. 3 additional states are 99% indexed and arbitrated. 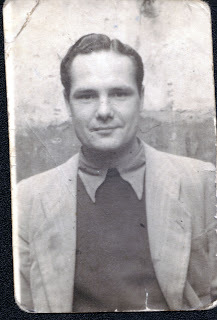 Case #13 Henry aka Harry Taylor a WW2 British Soldier hidden from German Army in Italy who later settled in California, has been solved. Thanks to our team of volunteers and in particular Samuel J. whose search of the U.K. Electoral Rolls provided the correct names of Harry and his wife (Susan, not Gloria). The address on the photo sent by Nick confirmed that we have the right couple. Next came searches of many different records including Births and Marriages on Free BMD where a search found the marriage of Harry C. Taylor and Susan R. Willmott in December 1938. Ships Passenger Lists, Border Crossing Records Canada to USA and other records on Ancestry.com turned up more information. Susan Ruth Taylor, wife of Harry, and three children, Gloria Rose, Brenda Susan and Wayne Charles were found crossing from Canada at Detroit Michigan in 1952. Harry was found on a separate crossing one month later, going from Canada to Salt Lake City Utah. It was noted that he arrived in Canada by plane in 1947. Naturalization records were also found dated July 1958 for the family who were living in W. Covina California. One item of great interest was found on the National Archives for UK A search of their online database provided a reference to Harry's experiences as a POW in Italy during WW2. For a small fee Nick was able to download the file and learn about his grandparents' part in helping Harry hide during one of his many escapes. It was fascinating reading as Harry escaped more than once and was re-captured each time. There were many other records found but they contain information about living individuals (their dates and locations of birth, Susan's parents and siblings etc) so I won't share that here on Olive Tree Genealogy blog. Suffice it to say that a phone number and address for one of the children of Harry and Susan Taylor was given to Nick, and contact has been made. Harry is deceased but his wife is still alive. All in all another happy ending thanks to my wonderful readers to a very challenging case! Are you having a family reunion this year? I have one every summer. We call them Family Fun Days because I want everyone to have fun. Every year I plan a different team activity. 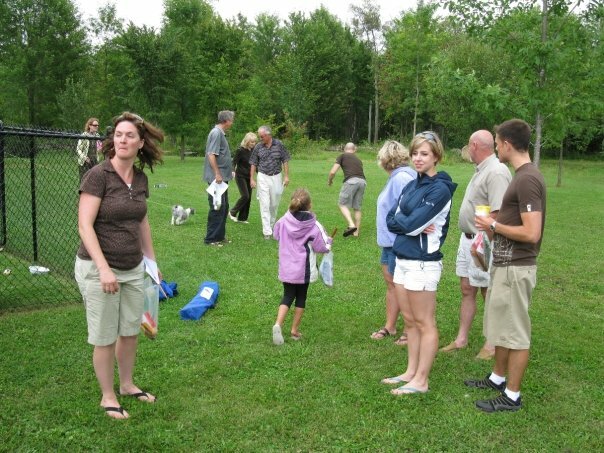 Scavenger Hunts are popular. They're the easiest to set up. I have my family work with a partner. They don't choose their own partner, instead I have different ways for them to find one. Sometimes they have ancestor cards and have to find the person who has the matching card. Or they are given pictures of farm animals and have to find their partner match by making the animal sound. Last year I created a Genealogy themed race. It was a version of the Amazing Race but each activity teams went to was based on a real event that happened to one of our ancestors. This required posters with instructions for each event, as well as hiding clues in plastic eggs, and arranging for referees at each event. It was super fun and hilariously funny but tons of work so I won't do that one again any time soon! This year I'm debating creating another Scavenger Hunt but this time giving it a genealogy twist. I haven't worked out all the details yet but I've got two months to think about it. It's great to have one organized game with a prize for the winner(s) but you also want to let your family just talk and enjoy themselves. My rule of thumb is that the race or the Scavenger Hunt should not take more than an hour, but I aim for 45 minutes. 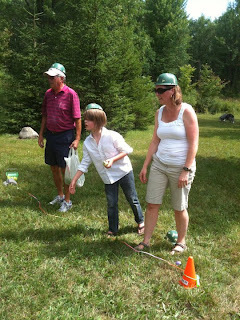 I put out lots of activities such as hula hoops, foam lawn darts, golf clubs, croquet set, football and so on. We also clean out the horseshoe pit and hubs makes sure the ATV is gassed up and ready to go. Our ATV holds two small children on the back seat plus hubs driving, and I think it's the favourite part of the day for the grandchildren! If you're running your Fun Day alone, you need to be super-organized. Here's a few tips that might help. What do you do for your Family Fun Days? The following press release was sent to Olive Tree Genealogy. There are some terrific awards given to some amazing genealogists! Arlington, VA, 12 JUNE 2012: The National Genealogical Society presented its annual awards at the 2012 Family History Conference in Cincinnati, Ohio, 9–12 May 2012. Each year, these awards are presented to organizations and individuals who have made outstanding contributions to NGS programs or have performed outstanding work in the field of genealogy, history, biography, or heraldry. Kay Haviland Freilich, cgsm, cglsm, was named a Fellow of the National Genealogical Society for her outstanding volunteer work on the Society’s behalf. Kay is a respected teacher, editor, author, and lecturer. She also serves on the editorial staff of the NGS Magazine, has contributed to many NGS conference committees, and was program chair for the Valley Forge family history conference in 1997. The President’s Citation was presented to Melinde Lutz Byrne, cgsm, fasg, in recognition of her assistance with NGS’ video series, Voices of Genealogy; her ongoing work with the NGS Quarterly’s centennial celebration; and her work as an NGSQ co-editor. The Family History Writing Contest award is presented to an individual who submits a scholarly article with a compiled family history of at least three generations using a broad variety of research resources. The 2012 contest attracted such a high caliber of entries that the judges chose two recipients: F. Warren Bitner, cgsm, for “Without Land, Occupation, Rights, or Marriage Privilege: the Buettner Family from Germany to America,” and Michael Hait, cgsm, for “In the Shadow of Rebellions.” These articles will be published in upcoming editions of the NGSQ. The Filby Award for Genealogical Librarianship is awarded to a librarian with at least five years’ experience whose primary focus is genealogy and local history and who is employed in a public, academic, or special library. This year’s award, and a $1,000 prize underwritten by ProQuest, went to Debbi Lyon of the Blasco Memorial Library in Erie, Pennsylvania. The Filby Award is named for the late P. William Filby, former director of the Maryland Historical Society and author of many core genealogical reference tools that genealogists have relied on for decades. Since 2006, the award has been sponsored by ProQuest. In addition to their sponsorship of the prize, ProQuest also acts as underwriting sponsor and key partner for our pre-conference librarians’ day program. The Shirley Langdon Wilcox Award for Exemplary Volunteerism was awarded to Charles “Chuck” S. Mason Jr., cgsm, a longtime dedicated volunteer at the NGS office in Arlington, Virginia. Named in honor of a past society president and continuing dedicated servant of NGS, this award highlights the sort of selfless, dedicated, and reliable service that is necessary in any genealogical society, whatever its size or place. The Distinguished Service Awards were presented to the following three individuals: Patricia R. Baars for her longstanding and dedicated service as a grader for the NGS Home Study Course. Graders play a vital role in the success and utility of our NGS American Genealogy: Home Study Course. Mr. Clair Crawford and Dr. Thomas Shawker for their six-year effort to make the AMA Deceased Physician Research Service a success. The Certificate of Appreciation was presented to Sharon McKinnis. 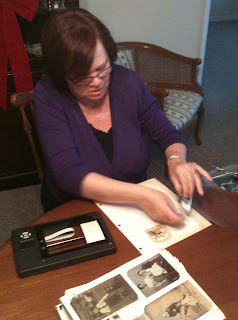 Since December 2010, Sharon has been scanning the Member Ancestor Charts (MACs). Sharon is extremely dedicated, coming to the NGS office twice weekly and working five hours a day on this project. After the charts are scanned, they are uploaded to the NGS website for use by NGS members. Since Sharon began volunteering, more than 17,000 new charts have become available on the NGS website. The NGS Award of Merit was awarded to Marvin Wilhite, for his exceptional volunteer effort and dedicated service to patrons at the Marshall [Missouri] Public Library’s Genealogy Room. The NGS Genealogy Hall of Fame honors individuals who, during their lifetime, made significant contributions to genealogy and set the high standards by which we work today. This year, Josephine Cosette Mayou Stillman Frost (1864-1942) was elected to the NGS Genealogy Hall of Fame. During the first four decades of the twentieth century, she was one of the most important contributors to New York genealogy. Frost was nominated by the New York Genealogical and Biographical Society. The Milton Rubincam Youth Awards are intended to encourage and recognize youth as the next generation of family historians. The Senior Rubincam Award recipient was Nathan Thomas Wheeler of Georgia; the Junior Rubincam Award recipient was Oliver Patterson of California. The award of a scholarship for NGS’s advanced studies course, American Genealogy: The Home Study Course, is intended to encourage those pursuing a career in genealogy and who have demonstrated serious interest in genealogy. This year’s recipient was Susan Griffis of Indiana. The Award for Excellence: Genealogy and Family History Book is presented for a family genealogy or family history book that serves to foster scholarship and/or otherwise advances or promotes excellence in genealogy. This year’s recipients were Christopher Child and Scott Steward of the New England Historic Genealogical Society for The Descendants of Judge John Lowell of Newburyport, Massachusetts. The Award for Excellence: Genealogical Methods and Sources is presented for a book or article that discusses genealogical methods and sources. This year’s recipient was Paul K. Graham, cgsm, for Georgia Land Lottery Research, published by the Georgia Genealogical Society. The Award of Honor was presented to the Ohio Genealogical Society and the Hamilton County Chapter of OGS for their dedication and sustained service in support of the NGS Family History Conference in Cincinnati in May, and to Kenny Burck, Local Host Chair. Certificates of Appreciation were given to seven individuals for their volunteer service to help make the conference a success. NGS would like to recognize the tireless work of the following volunteers, both in the months leading up to and during the conference: Deb Cyprych, Barbara Gargiulo, Jean Nathan, Sandy St. Martin, Liz Stratton, Patricia Moseley Van Skaik, and Jean Woll. The following Press Release was received by Olive Tree Genealogy yesterday. "We chose these blogs based on their overall quality of content and design, potential interest to other researchers, and relatively current status." Thank you to my readers for making my blog so popular! More than Half of the 1940 U.S. Census Records Indexed in Just Two Months Thanks to Thousands of Volunteers Across the U.S.
SALT LAKE CITY, UTAH (June 7, 2012) – The 1940 U.S. Census Community Project announced today that its searchable index of 1940 U.S. census records has reached – and surpassed – the halfway mark toward completion. Thanks to the efforts of more than 125,000 volunteers, more than 75 million names from the 1940 U.S. census have been indexed with 18 state records already available to the public on all Project partner websites, including the National Archives and Records Administration (NARA), Archives.com, FamilySearch.org and findmypast.com. The records will also be made available in more than 7,000 public libraries nationwide in the coming months by ProQuest. The national service project, the first and largest of its kind, aims to establish a comprehensive searchable database and make the 1940 U.S. census records available for free. Since April 2, Community Project volunteers have indexed more than 75 million records and this number continues to grow quickly as more than 7,000 volunteers sign up each week. The timely progression of making the census records freely searchable online is a direct result of the growing numbers of volunteers. Those interested in lending a hand can learn more and sign up to be an official 1940 U.S. census volunteer indexer at the 1940 census website (the1940census.com). The project will release free searchable records for individual states as they are completed. To learn more about the 1940 U.S. Census Community Project, track real-time progress of volunteer indexing efforts or become a volunteer, visit the1940census.com.